SEO concept in a filament lightbulb. Before you begin writing any content, it’s best to have a plan for SEO in mind. Here’s a guideline to help ensure each piece produced is ready to be crawled and indexed. Search engines don’t want spammy content full of keywords. They want content that readers can actually use – so focus less on the keywords and more on the audience. By focusing more on user intent, and less on the keyword, you’ll automatically be focused on the user, rather than the search engines. If you’re “forgetting” SEO as you write, then how can you keep your content SEO-friendly? Easy – focus on using those keywords elsewhere in the code. Setup your permalinks so keywords are used in the URL. Make sure you’ve got an XML sitemap. Use keywords in your headline – and a few times in the content – if they naturally fit. Divide your posts with headers (H1, H2, H3) and include relevant keywords there – if they fit naturally. Use ALT tags on all your images. User intent is an often overlooked part of SEO. Semantic search uses the meaning of the words to determine what it is people are looking for. Using artificial intelligence, the search engines can now determine what people are intended based on what words and phrases they use in the search. What is the user looking for when they search a phrase? What stage of the buying cycle are they in when they are looking for your content? That’s the kind of thing you need to think about as you craft content. Essentially, users are looking to do something, go somewhere, or know something. Sometimes, there’s even more than one intent in the same search. That’s confusing, right? But, when content is written for intent, it has the best shot at earning, and more importantly, keeping high rankings that translate to higher amounts of organic traffic. Let’s take a look at a basic query that can be used for all three categories of user intent based on a few small changes. 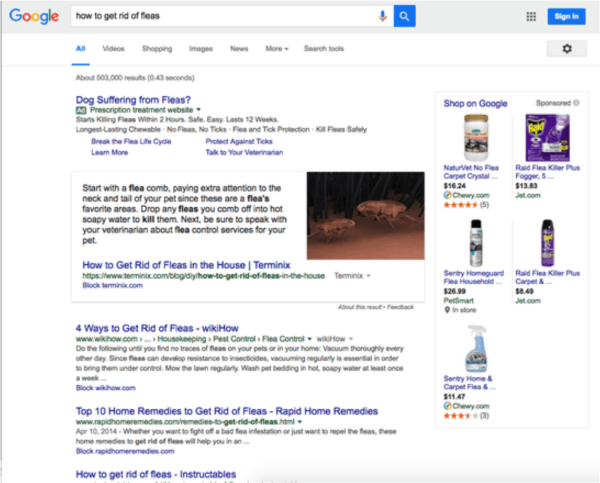 When we start with a basic search of “fleas” we see a mix of results. 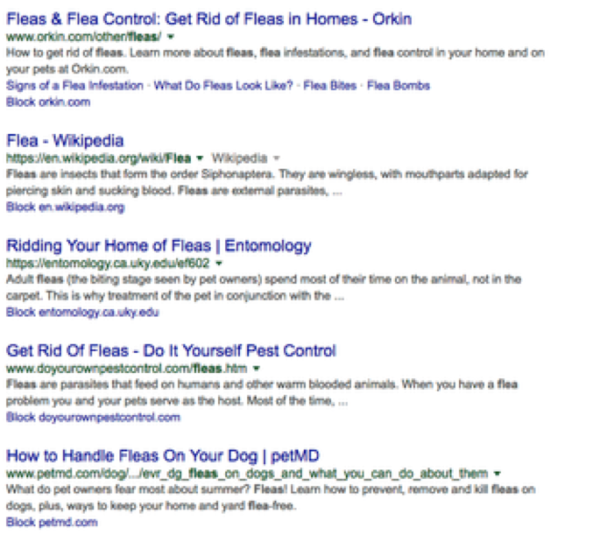 The idea is that users who choose this query want information about what fleas are and what to do about them. Now, let’s change that to “how to get rid of fleas” because we’re moving to the do something query. See how the results change? You now see results specifically for how to get rid of fleas, including home remedies, and even a selection of flea remedy products available on Google Shopping. See how the results have changed now? 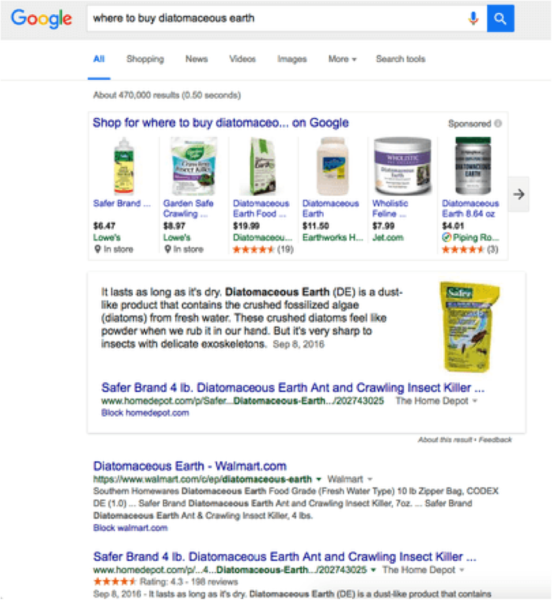 Users are immediately shown shopping results, and linked to product pages on retailers like Wal-Mart and Home Depot, where they can either purchase the product online, or call to see if it is in stock at their local store. Knowing your user intent can change how you write the content, thus changing the likelihood it ranks. Research shows though people spend more time on pages with more words and information, they only spend about 4.4 seconds for each additional 100 words. People only read about 18% of the information on a page. The study also shows if there are 111 words or less on a page, people will only read about half of it. Some of the time users spend on a page is spent understanding the layout and navigation, and looking at images…. So people are not reading the entire time they’re on your website. If people devoted all their time to reading, they’d still only read about 28% of the text on a page. So – that means you need to break it up with headings and images to keep it easy to scan, and use those headings to draw the eyes to where the most important information is. Give up on the idea that people are going to find you interesting enough to read every word – it’s not happening. Using images throughout content is important for a number of reasons. It breaks up the monotony of the written word, making the content easier to scan and digest, creates visual interest, and can help with willingness to read the content. Research shows using colored visuals in a piece of content increases people’s willingness to read it by 80%. And, if that’s not enough to convince you, content that includes relevant images receives 94% more views than content without images. When you content is engaging, people are more likely to link to it and share it. Those links and shares are signals search engines use as part of their ranking algorithm. Make it easy for people to share it across their social channels with buttons at the top or bottom of each piece of content. When you know your audience and their intent, you’re already one step ahead of the rest of the crowd. 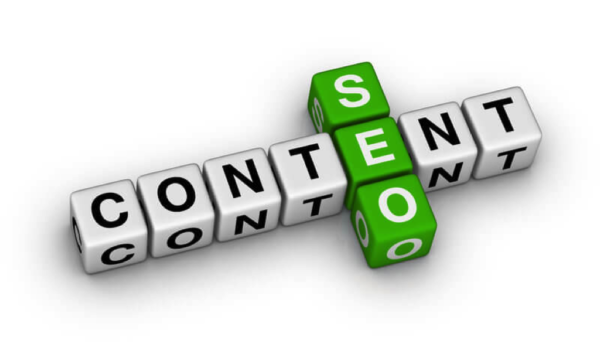 Do you have any other tips for making SEO-friendly content? If so, please share them in the comment section below. This article was written by Eric Sachs from Business2Community and was legally licensed through the NewsCred publisher network. Next articleDo You Need A Chief Content Officer?